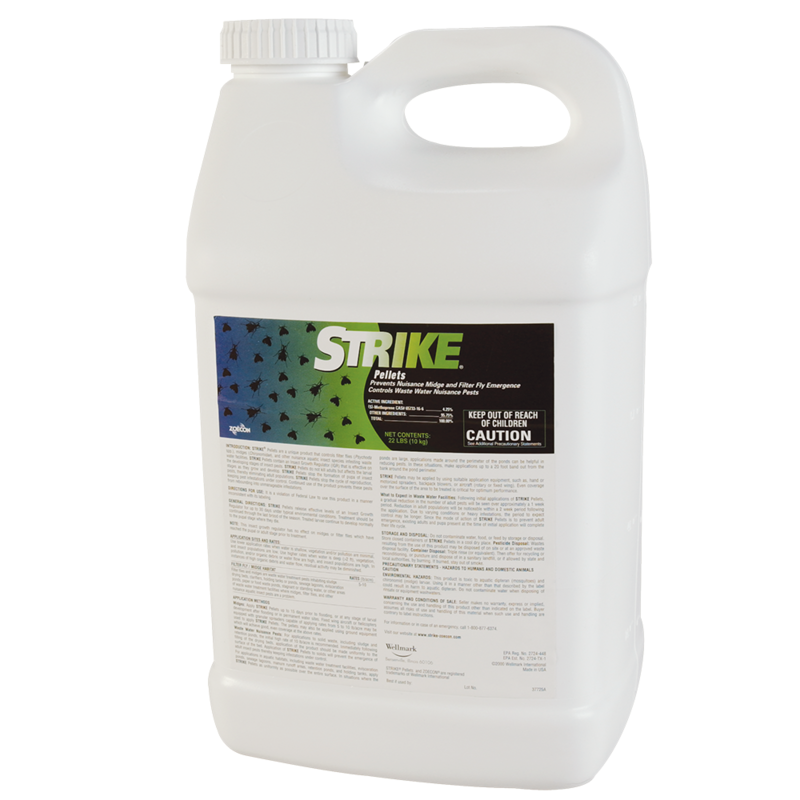 Strike® Pellets offer convenient, 30-day release of the EPA-approved insect growth regulator, (S)-methoprene. Formulated for extended holdings times, Strike Pellets® are ideal for aerial and ground applications to uniformly and completely treat an area. Strike Pellets® are available in a 22 lb. package. As with all Strike formulations, continued use prevents future infestations of midge and filter flies. "Using the Strike® Pellets, we have constructed a variety of creative application methods over the years because always finding the most economical, yet effective solution, is important to us."